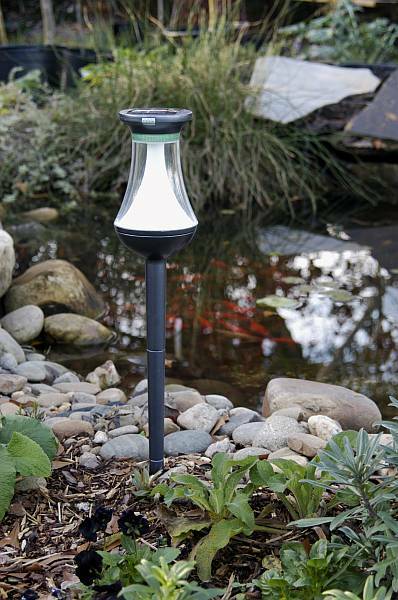 Solar Accent Garden Light is an attractive yet efficient way to light your garden, pathway, or driveway. Solar lights store the sun's energy during the day and release that stored energy at night. Solar-powered lights are a perfect match for most situations and include a long lasting Hi-Tech solar panel. Solar Lighting does not require any wiring, so you will not have to tear up any of your gardens, lawns, or landscaping to install them. Thanks to the increasing popularity of solar lighting for accent and security, there is a larger variety of designs and styles available. Each solar light comes complete with its own rechargeable batteries and the option to use each light with a ground stake, or high and low base. The lights are totally weatherproof and suitable for year round use. Solar lights contain solar cells that must receive direct sunlight in order to operate at night. Not recommended for wooded or shaded areas. Please make sure to choose the color you are interested in!! SOLD IN CASE PACKS ONLY. THERE ARE 3 LIGHTS IN EACH CASE. CANNOT MIX AND MATCH COLORS.